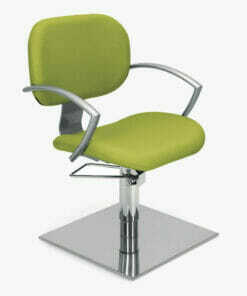 Why Nelson Mobilier Salon Furniture? 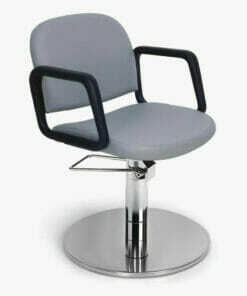 The simple fact is that salon furniture intended for use in a working environment is an essential working tool for professional hair dressers. 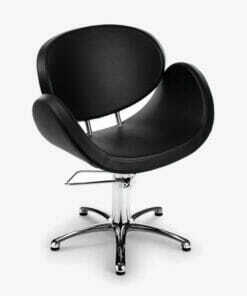 Nelson Mobilier have always stood for quality and durability. 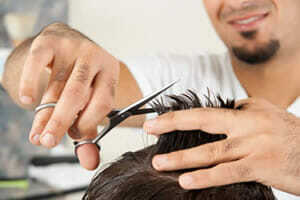 Their salon equipment is built to the highest standards with a continued focus on product development . Nelson Mobilier workings with product designers and managers who have an excellent tract record in developing superb salon furniture which is both functional and beautiful. 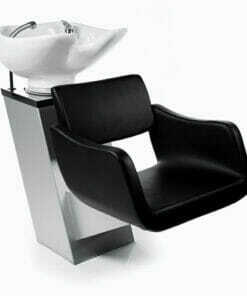 This furniture is developed in direct consultation with top hair dressers in order to best fit the needs of professional salons. All Nelson Mobilier Salon Furniture products are manufactured in France on the 5.000 square meters production plant. Their salon furniture is manufactured in compliance French as the European standards of quality, for example NF (Norme Francaise) and European quality certification. 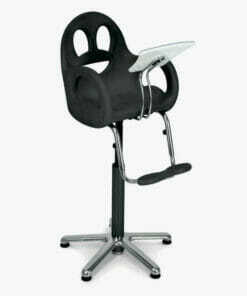 Training styling chair which can be used for teaching or customer seating. 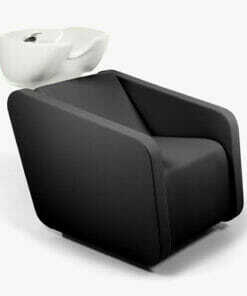 Nice suite style made styling chair with a comfy design. 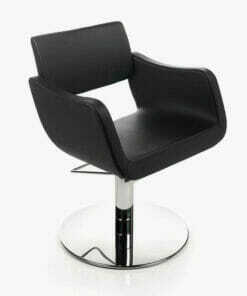 Simple styling chair with black rubber armrests and a clean cut design. 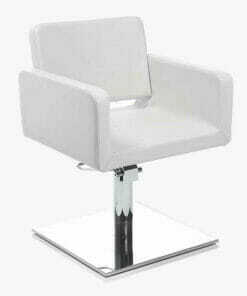 Modern, fashionable styling chair with polished aluminium armrests. Featuring twisted aluminium armrests with a matte finish. 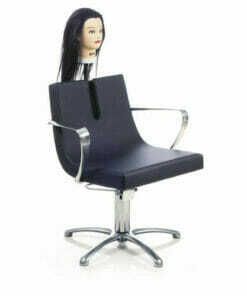 Quality styling chair with deep cushioning and a supportive backrest. 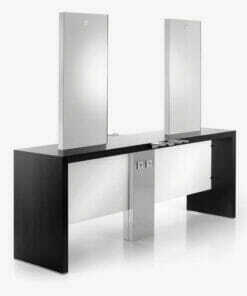 Displays a certain style and elegance that pairs with any well designed salon. 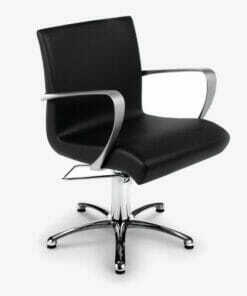 Unique curve that offers great support and excellent comfort. 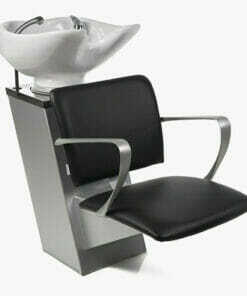 Impressive styling chair with a moulded foam seat for unbeatable comfort. 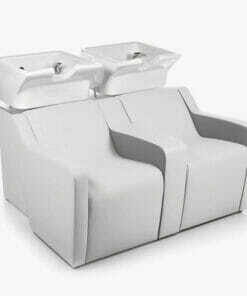 Stand alone backwash unit complete for hairdressing salons, nursing homes and the care enviroment. 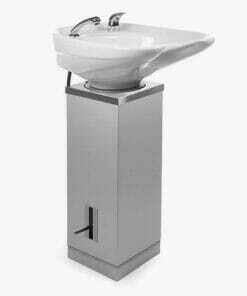 Top of the range washpoint with outstanding comfort and a bold modern design. 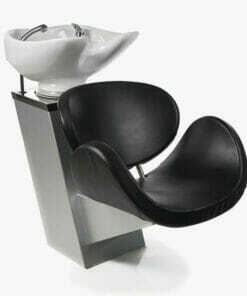 Professional washpoint featuring the sleek Yering chair. 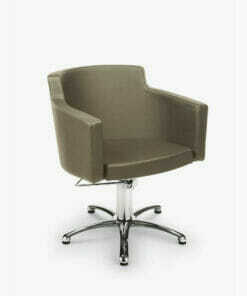 Quality piece of furniture with a smart professional design. 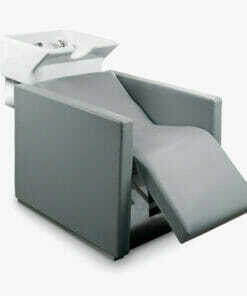 Well designed single washpoint featuring the stylish Bowy Chair. 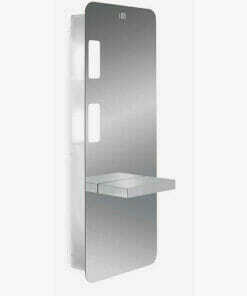 Available as a 1 position or a 2 position washpoint. 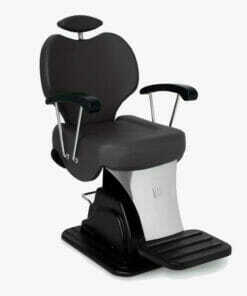 Heavy duty barbers chair with a strong hydraulic pump. 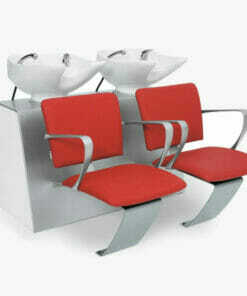 Comes in three sizes, allowing you to choose the best fit for your salon. Unique hydraulic pump backwash unit which allows you to raise and lower the height of the basin. 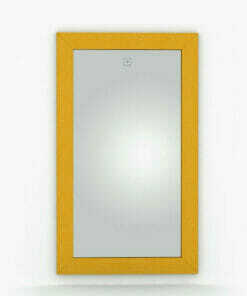 Luxuriously comfortable with outstanding quality and finish. 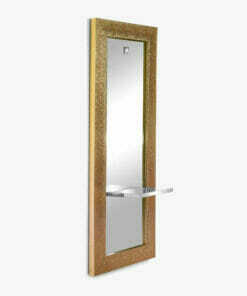 Wall styling unit with extra large styling mirror which is 1770mm x 920mm all finished in gold crocodile edging. 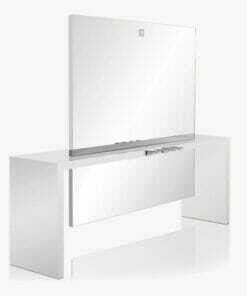 High fashion styling unit with a lacquered designer frame. 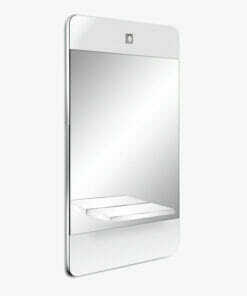 Beautiful 4 position unit, designed with a clean cut stunning finish. 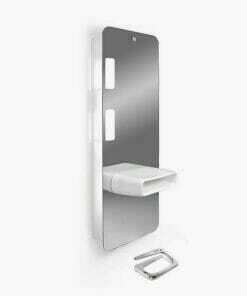 Flawlessly made Wall styling unit available in 1, 2 or 3 positions. The perfect center piece for any salon. 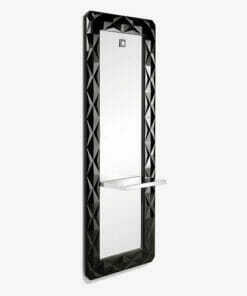 Glamorous wall mounted styling unit with a beautifully textured frame. 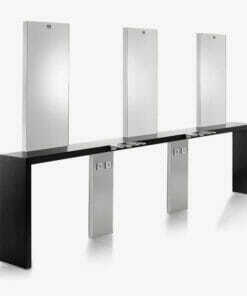 iSmart stylish modern wall unit with stainless steel work shelf available in white or black laminate. 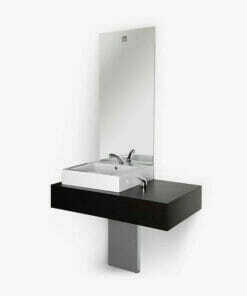 Barbers styling unit with square ceramic basin, mirror and mixing valve kit. Stylish wall unit with coloured work shelf, hairdryer holder, socket and storage. Stylish wall unit finished in high shine chrome and stainless steel work shelf. Nelson Mobilier was founded in Chassieu, close to Lyon, France in 1984. In 1986, The first Nelson Mobilier salon furniture collections were put on show at the Cosmoprof trade fair, in Bologna, Italy and on the Mondial Coiffure in Paris, France. 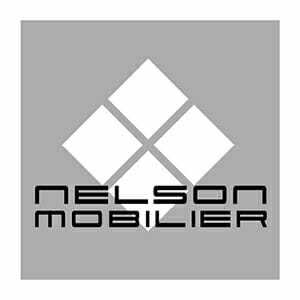 Between the years 1986 and 1994 Nelson Mobilier established a strong distribution network throughout France and developed several key agreements with local franchises. Before much time had elapsed, Nelson Mobilier had become the French market leader in salon furniture. The growing reputation of Nelson Mobilier crossed the French borders as the company increased its presence throughout Southern Europe, working with with distributors in Spain, Portugal, Italy and Greece. Partnerships in Belgium, Netherlands, Germany, Austria, UK, Scandinavia, were then developed and the Nelson Mobiler Salon Furniture is also now on sale in Northern Europe. 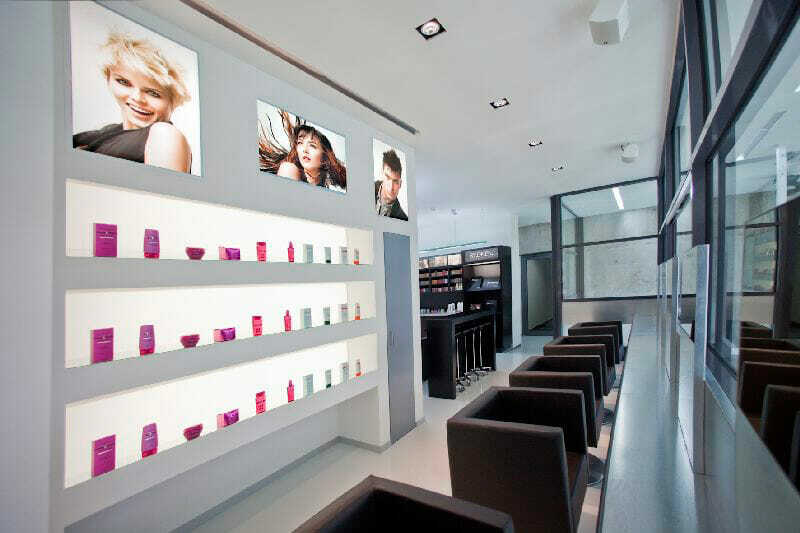 This French brand has now become one of the major salon furniture manufacturers in Europe. With new collections, new catalogues and brochures and refitted showrooms the French brand follows a winning strategy and keeps on growing. 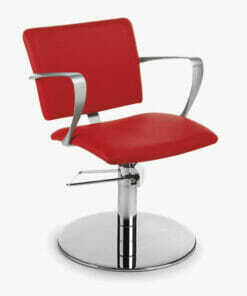 Nelson Mobiler salon furniture is now exported to more than 40 countries.